After being a professional ballet dancer for eight years in San Francisco, Alexandra had to change career and get involved in a new passion. The Wine and Management Programme appeared to be the perfect basis for her fresh start as an entrepreneur in wine. 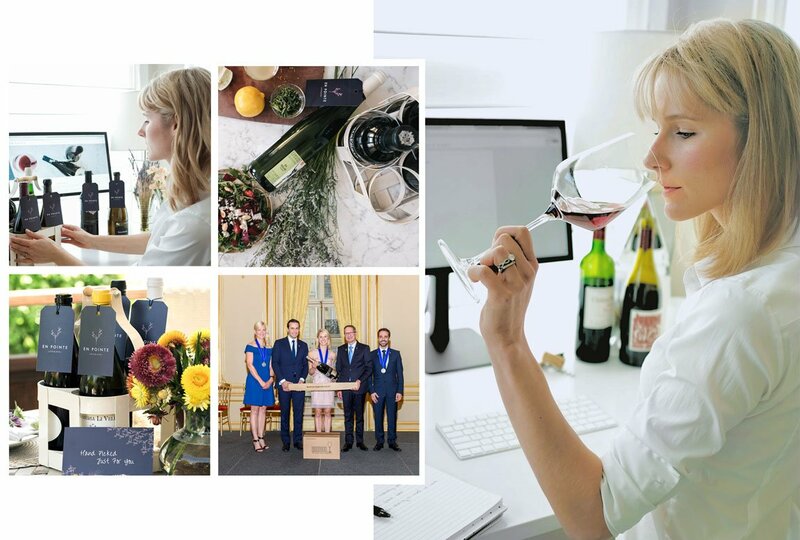 She graduated in 2017 and, less than one year after, founded her own wine club business named “En pointe”. What is your favorite memory from your adventure at Le Cordon Bleu Paris institute? There are so many that it's hard to choose. I think the most memorable experience was the opportunity to work harvest in St. Emilion (few times ago Tora, a Wine and Management alumna was telling us about her harvest internship at Saint Emilion : read the article). It's one thing to study and taste wines, but it's entirely another to partake in the process of harvesting grapes and assisting in the process of making wine. To be able to do that at a winery that not only encourages, but requires that you truly jump in the process and help make it all happen, was eye-opening, to say the least. It certainly helped deepen my appreciation for wine. I started dancing ballet professionally at the age of eighteen and performed for eight seasons with San Francisco Ballet before retiring due to an injury. Following my time on the stage, I spent two years working as a recruiter for Pinterest before realizing it was time to find a second career that I loved as much as my first. Appreciate how incredibly fortunate you are to spend an entire year learning. Not only are you fortunate to spend the time learning about something you enjoy, but you are able to learn from some of the best instructors in the world and to taste an unbelievable range of wines. My advice: use the year to focus. You have the rest of your life to be a tourist in Paris - this is the year to fully embrace being a student! Since graduating from Le Cordon Bleu Paris, I've founded my own business based in San Francisco, En Pointe Wines. It’s a community-oriented subscription service featuring wines from all over the world, with the requirement that they are all made by small producers that practice sustainable farming and make delicious, food-friendly wines. I'm excited to see how En Pointe Wines evolves over the years and to continue to discover new grape varieties, regions, and producers. I hope I can encourage others to view wine not as something to be collected or critiqued, but as something that can help bring us together, celebrate the diversity in the world, and bring us all joy.